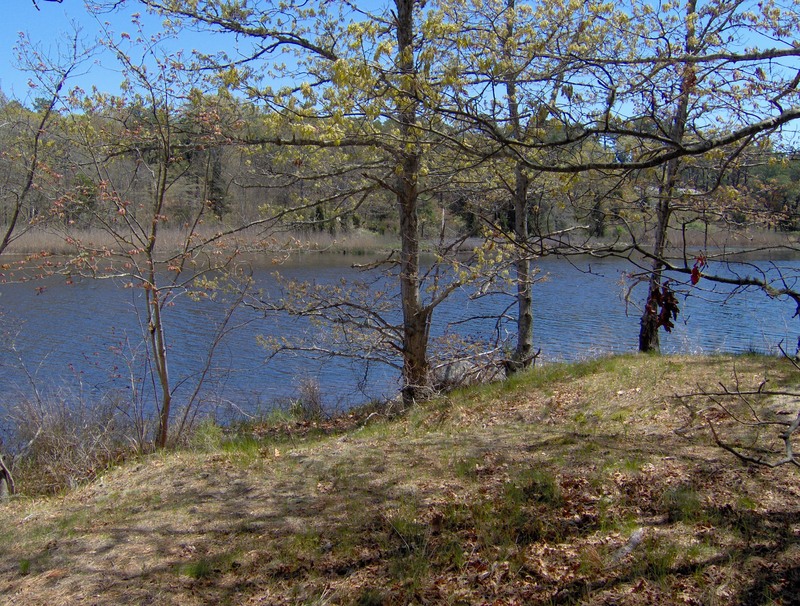 Riverfront and an abandoned cranberry bog are the main features of the nine-acre Margaret Doutt Preserve in Waquoit. Trails lead into and around the overgrown bog, and an open area under the trees on the bank of Moonakis River is an ideal picnic spot. An old bog road through the preserve provides access for portage — a two- or three-minute walk — and launching of light canoes and kayaks. At high tide, boaters can travel upstream almost to Route 28 or they can head downstream under the bridge at Metoxit Road and out into Waquoit Bay. The preserve is named after Peg Doutt, a botanist who moved to Falmouth in 1979. She enjoyed exploring the ecological variety of the old bog and once found small orchids growing among the cranberries. Her brother and sister-in-law, George and Anita Thompson, were enchanted by the abandoned bog and purchased it — quite illogically, they admitted later — at a foreclosure auction in 1991. They wanted others to appreciate what they had loved, and they sold the parcel to the town five years later. 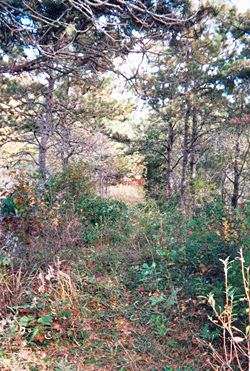 Access to the Margaret Doutt Preserve is on Moonakis Road, which is just east of Metoxit Road at the traffic light on Waquoit Highway.